Stevie McLeish has quit his post as Newtongrange Star after two-and-a-half years in charge, sighting a breakdown in his relationship with the club’s committee as the main reason. 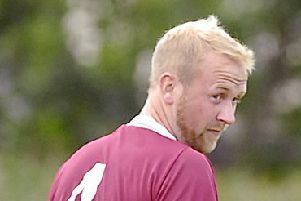 In a lengthy statement addressed to the club, McLeish outlined his reasons for his and his backroom team’s departure – including going without pay for seven weeks – which came on the back of their 3-0 defeat by Hill of Beath Hawthorn in the South Challenge Cup. The statement read: “I am resigning as Team Manager of Newtongrange Star FC with immediate effect. The reasons why I am resigning are: “Breakdown in the relationship between the club office bearers and football operators as a result of: 1. Incompetence in handling a request for appealing two red cards administered during the Arniston Rangers game on 29/12/18. “2. General lack of support for the team. For example, no balls purchased all season, players taking charge of general maintenance and repairs of the facilities – out of necessity. Players challenged to fundraise the money for winter coats by themselves by a club office bearer. “3. Continually the players and staff being seven weeks behind in wages until tonight when we were all paid up. This has not been easy to work with. “4. Lack of a long-term strategy or plan to lead the club out of the financial challenges it faces and has faced. For the last two-and-a-half years this has been the case – the long-term future of the club is, I fear, in real jeopardy as a result of this. “5. The direction I see the club needing to take being out of step with the current office bearers of the club.